Julie Wayne Gibbons joins the School of Nursing for the fall term of 2016. Julie received a Bachelor’s Degree in Nursing from Georgetown University in 1997. Following graduation, Julie practiced nursing in Pediatric Intensive Care and Pediatric Interventional Cardiology in the Chicago area. 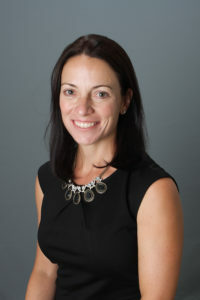 Following a move to Charlotte in 2001, Julie practiced school nursing while pursuing a Masters in Public Health from The University of North Carolina, Chapel Hill, graduating in 2005. In 2014, Julie began her pursuit of her Masters of Science in Nursing at the University of North Carolina at Charlotte and will graduate in December of 2016. Julie has served as an Adjunct Professor since the fall of 2015.